Pacify dry, itchy-prone skin with the Microsilver Concentrate Ampoules from Germany’s leading professional skincare brand BABOR’s CALMING RX range, formulated to alleviate dehydrated, irritated and reactive skin types. Free from fragrances, synthetic colourants and preservatives, the ampoules are powered by a natural form of silver with antimicrobial, anti-inflammatory and intensely hydrating benefits. Microsilver, combined with the active cosmetic ingredients plant-based Neuroxyl and Dexpanthenol delivers a potent shot of moisturisation a soothing effect. 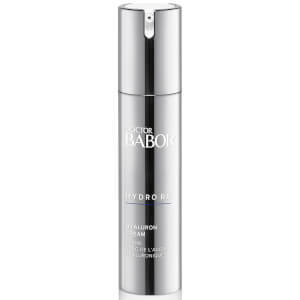 Leaves the complexion looking calmer, more balanced and relieved of tightness and discomfort. Shake the FLUID and wrap a tissue around the neck of the ampoule or the enclosed ampoule opener. With your other hand, grasp the neck of the ampoule and snap it open at the lower, colored ring or use the enclosed opener. Pour the fluid into the palm of your hand and smooth it over your face, neck and décolleté. Pat the fluid gently into the skin, then apply your regular moisturizing cream on top. Aqua, Pentylene Glycol, Panthenol, Xanthan Gum, Butylene Glycol, Sodium Lactate, Silver, Achillea Millefolium Extract, Citric Acid, Pantolactone.